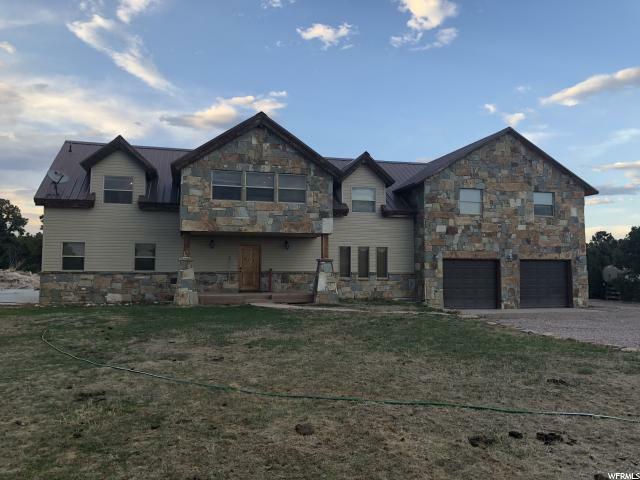 All Talmage homes currently listed for sale in Talmage as of 04/18/2019 are shown below. You can change the search criteria at any time by pressing the 'Change Search' button below. If you have any questions or you would like more information about any Talmage homes for sale or other Talmage real estate, please contact us and one of our knowledgeable Talmage REALTORS® would be pleased to assist you. "Have it all, away from it all. Enjoy all the amenities in quiet seclusion! The house boasts a spacious kitchen with granite counter tops, an island and an extra large pantry.The Great Room is a work of art with its large picture windows, rustic open-beam truss, hand-hewn railings and rock fireplace that streches to the second story vaulted ceiling - a true must see! The main level master suite has a garden tub and a huge walk-in closet. The remaining 5 bedrooms are upstairs with the large family room and den which look over into the great room. Beautiful views of the mountains in the back and of the green valley out the front. Outside there is a spacious rear deck for entertaining and a large side patio for the kids close to the play set. There is plenty of room for the kids and/or animals to roam among the trees and grass areas. And don't forget the 30' wide by 35' long garage that is also extra tall - one side has room for a side by side and a car! " "North of Duchesne in the Talmage area! Beautiful custom log home on 20 wooded acres! Off grid! 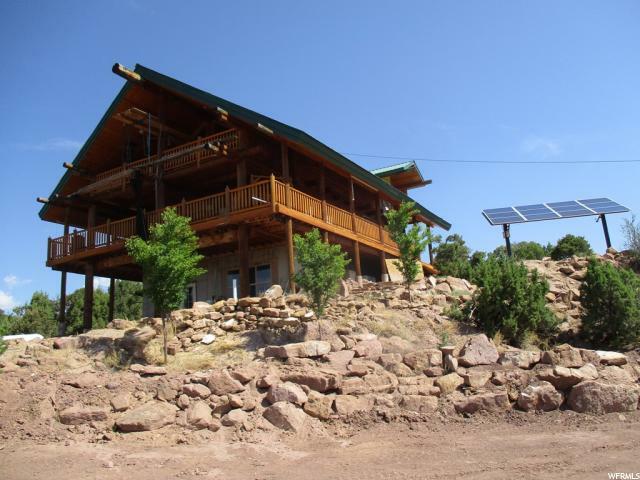 This luxurious home has a well, septic system, and solar power and is all set up for year 'round living. Just a few minutes from Starvation Lake, Moon Lake, Upper Stillwater, and Sandwash Reservoirs as well as many mountain rivers and streams! The 3 bedroom 3 bath open floor plan has vaulted ceilings. The upstairs bedrooms each have a private balcony for endless views of the Uintahs! Covered deck on the main floor and covered patio downstairs! Living room and family room. It is tucked away in the woods for so much privacy, we will have to take you there!" 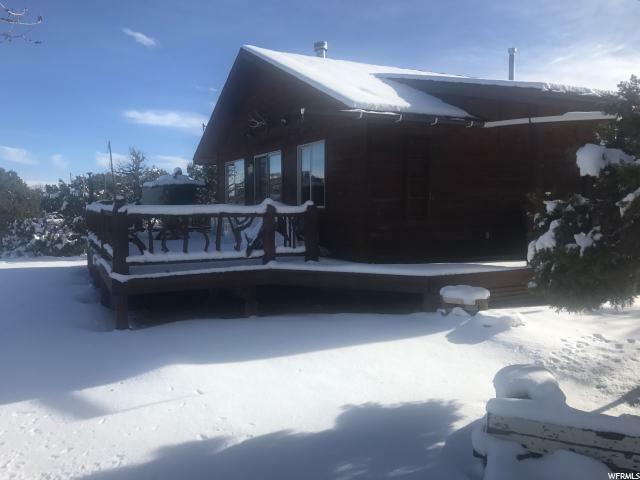 "Located on the road to both Moon Lake and Rock Creek this cabin sits up high above the neighborhood, with stunning views of the High Uintah Mountains and has good and easy access. All appliances are included, all utilities are hooked up including water. Most properties in the area either have wells or the owners have to haul water, this lot however is one of the few has culinary water. The inside of the cabin is mostly tongue and groove pine, the kitchen includes an island, and there is a wood burning stove included in the sale. The cabin sits on 3 lots providing privacy and potential building spots. The lots are mostly natural landscaped, however the owner is an artist and has made some interesting rock work. This property is 10 miles from Duchesne and 15 miles from Altamont. Located about 40 minutes to Moon Lake, about 30 minutes from both Rock Creek and Starvation Reservoir providing fishing, hiking, camping, horseback riding, off roading, some of the best hunting in the state, and the like. Just over 2 hours from Salt Lake City. "